Abu Dhabi: Emirates said on Thursday it plans to continue on its growth strategy next year, and plans to continue to invest in its products and services to improve customer experience. In a statement, airline President Tim Clark said consumer appetite for travel has remained “resilient despite socioeconomic and political headwinds around the globe”. “Emirates will continue on our strategy of organic growth, leveraging on the geo-centricity of the UAE, and Dubai’s dynamic developments in tourism and commerce. We will also continue to invest in our product and services so as to offer our customers an outstanding experience and value proposition while they discover the world,” Clark said. During 2016, Emirates said it scaled up its fleet with the addition of 36 new aircraft, consisting of 20 A380s, and 16 Boeing 777-300ERs. The airline also retired 29 older aircraft, concluding the year with 255 aircraft in service, with an average age of 5.0 years, which is below the industry average of over 11 years. 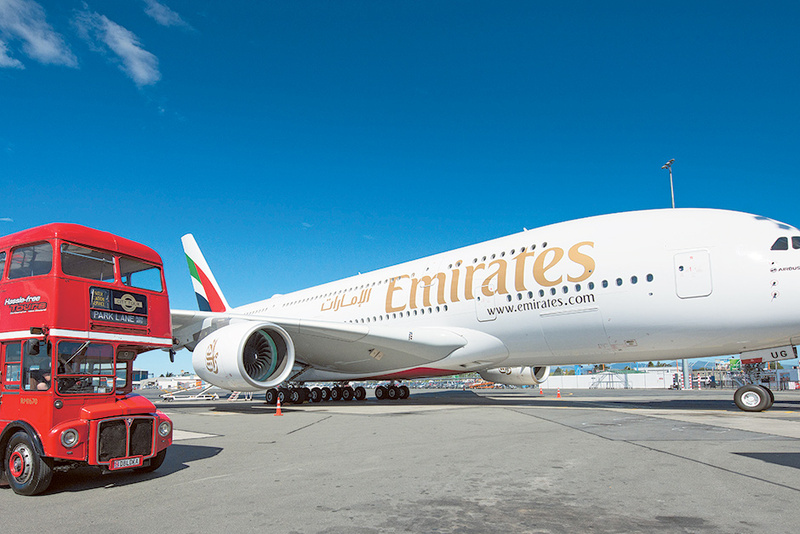 In April, Emirates placed an order for two additional A380 aircraft, taking its total A380 order book to 142, making the airline the world’s largest operator of the double-decker aircraft. The world’s largest long-haul airline also began taking delivery of its newest generation Airbus A380 and Boeing 777-300ER aircraft. The new Airbus A380s features include an enhanced seat configuration in Economy Class, and a higher ceiling in the Business Class Cabin. Emirates’ new Boeing 777-300ERs delivered from November also feature the airline’s new Business Class seat. As for routes, Emirates unlocked seven new passenger points and one cargo destination, rounding off the year with 154 destinations in its global network. The airline’s new passenger services in 2016 were: Cebu and Clark in the Philippines, Yinchuan and Zhengzhou in China, Yangon in Myanmar, Hanoi in Vietnam, Fort Lauderdale in the US, and cargo-only destination Phnom Penh in Cambodia. Emirates also expanded its A380 network to 44 destinations with the addition of eight new points. This year, Emirates completed an $11 million refurbishment of its Business Class lounge at Concourse B in Dubai.